Many of the best Christmas stories ever told are here combined with a delightful companion CD of Christmas music from leading Christian artists, including Rebecca St James, Twila Paris, and Steve Green. A gift that's sure to delight your family and friends. 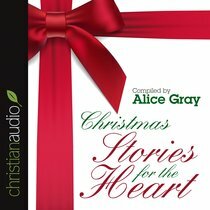 About "Christmas Stories For the Heart (With Cd)"
This gift edition of Christmas Stories for the Heart offers an uplifting collection of many of the best Christmas stories ever told. Inside you will also find a music CD from leading contemporary Christian artists. Rebecca St. James, Twila Paris, and Steve Green -- among many other well-known performers -- share the tender, contemporary sounds of Christmas.